Judged by over 500 of the most demanding palates, belonging to food critics, chefs, cooks, restaurateurs and producers, as well as a whole host of food writers and journalists, Great Taste is widely acknowledged as the most respected food accreditation scheme for artisan and speciality food producers. All products are removed from their wrapper, jar, box or bottle before being tasted and the judges decide which products are worthy of a 1-, 2- or 3-star award. It’s not about smart packaging or clever marketing – it’s all about taste. There were 12,366 Great Taste entries this year and of those products, only 35% received stars. The panel of judges included; chef, food writer and author, Gill Meller, MasterChef judge and restaurant critic, Charles Campion, author and chef, Zoe Adjonyoh, baker, Tom Herbert, and food writer and baking columnist Martha Collison as well as food buyers from Fortnum & Mason, Selfridges, and Harvey Nichols. This slightly cloudy golden juice has a distinct and appealing apple-y aroma. In the mouth it is initially sweet and round but it finishes with a delightful tang. A great juice. Bright, autumnal flavours bursting out with a perfect balance between sweet and tart notes. Complex flavour in a simple presentation. Lovely and the best of English Apples. This pale slightly cloudy juice has a soft apple aroma and a gentle sweet flavour of Cox apples. We like how the flavour is long lasting and pure. 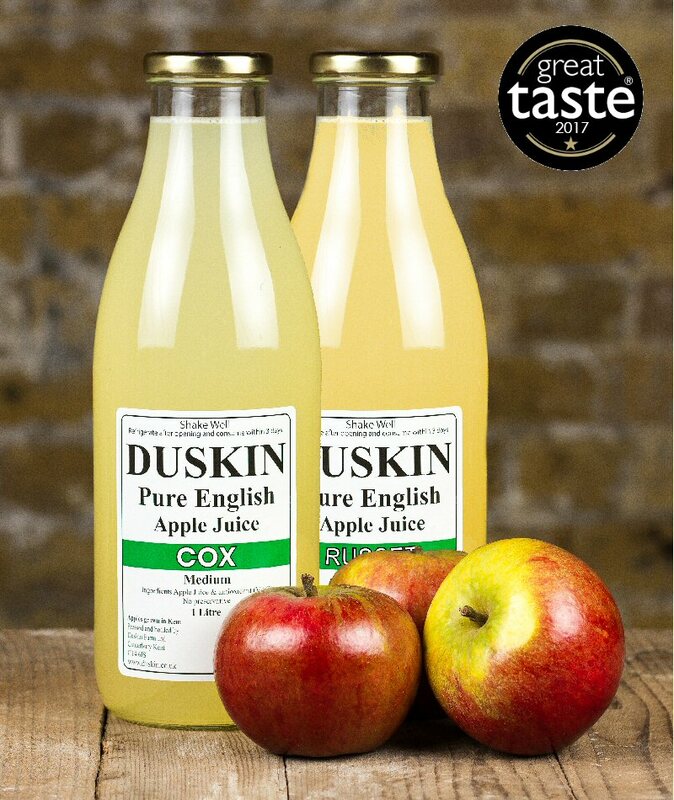 The distinctive taste of Cox apples - sharp yet sweet.